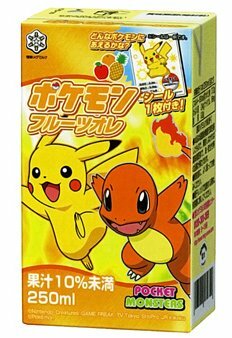 All About Pokemon Figure (AAPF): Pokemon Milk Fruits Au Lait (Snowbalnd) and WHAT'S SIGN ? Pokemon Milk Fruits Au Lait (Snowbalnd) and WHAT'S SIGN ? Milk daily products maker Snowbland will release the following fruits flavor milk in September 2013. Attaches a sticker. Generally AAPF skips like this merchandise news but posted this time. Because the package is interesting. 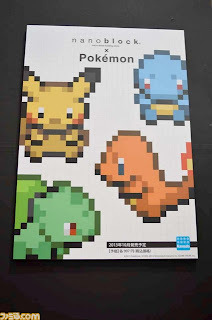 Why Charmander is there ? The following images are upcoming merchandise featuring RB starters from October to November 2013 we've reported so far. Click the image for the details. In the 2nd left of pics, two question marks ?? on the RB starts line. Casually ? Remarkable point is why are featuring only RB starters around XY releasing time. Is it just nostalgic marketing or sign for something ? 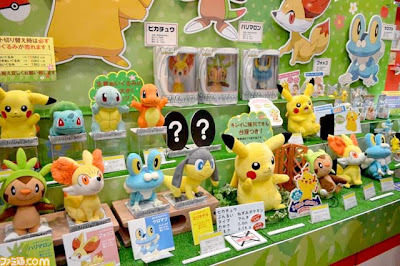 ==> Confirmed Kanto starters and Mega Evolved Kanto Pokemon in XY. Details is here. 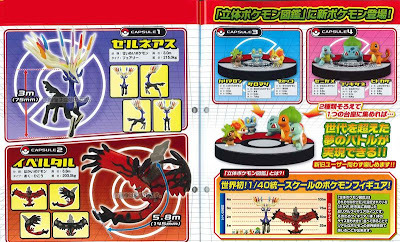 5 Sep 2013: Followup Pokemon Direct info.